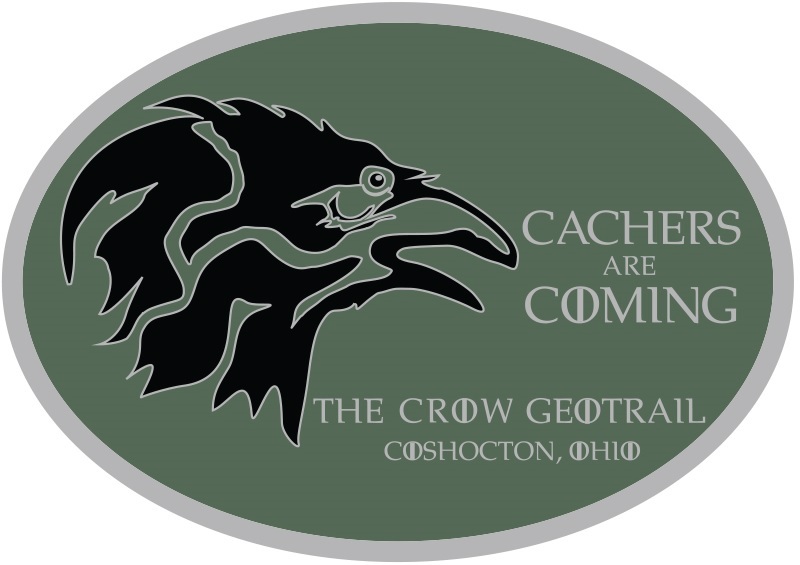 We are relaunching the Coshocton Crow GeoTrail with all new cache listings in some new and familiar locations. What better way to celebrate our relaunch than to have a party? Join us for an evening of food, conversation, and fun at one of Coshocton County's premiere wineries. Arrive early to walk the beautiful grounds and check out the gorgeous view of the Tuscarawas River. We will be offering a selection of snacks (cheese, meats, fruits, veggies and dips) and non-alcholic beverages free of charge. For those attendees age 21 or older, petite wine tasting tickets will also be available free of charge. If you are looking for a full meal, the restaurant will be open on a pay-as-you-go basis. There will be giveaways, additional information about the geotrail relaunch, and we might even reveal some early information about new caches nearby. NOTE: To help us make sure there is enough food, please indicate the number of people in your group when you post a Will Attend log. Cachers attending this event will have exclusive access to cache information two hours before the official geotrail relaunch at 10:00am on September 8. For cachers wanting to stay overnight, we secured a block of rooms at a local motel with a discounted rate for geocachers. Please contact us through our profile or at (740) 622-4877 for reservation information. Following the relaunch event, we invite you to join us for additional merriment (and maybe a cache) at a nearby brewery. Details will be provided at the relaunch event. Welcome to Coshocton County, Ohio, home of Historic Roscoe Village, the Horse-drawn Canal Boat and Three Rivers Wine Trail. To re-introduce you to some of the history and beautiful sights of our county, we are relaunching the Coshocton Crow Geotrail. We have beautiful crow-themed geocoins available for cachers that complete the trail. We are still offering the original geocoin for completing the trail. If you previously earned one, you may earn another -- they are beautiful enough to have two -- by completing the new caches. Ab pebjf urer, ohg gurl ner va gur fnzr snzvyl.